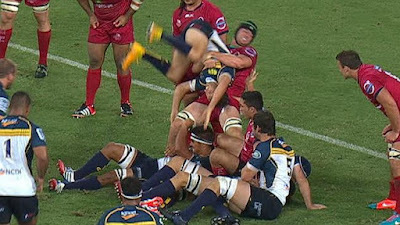 The NRL will scrap the controversial round 13 rule which allows players to backflip on contracts signed with other clubs. The NRL is proposing a 10-day cooling off period for any new contract but is waiting for support from the players' union to give it the green light. The round 13 rule allows any player that has signed for another club for the next season to go back on their word and re-sign with their current club before a mid-year deadline. NRL head of football Todd Greenberg said the rule had created uncertainty and speculation and would be axed. "I think everyone agrees it is unseemly to have months of speculation about whether a player is going to a rival club," Greenberg said. "Our view is a 10-day cooling off period is an acceptable solution for all involved." The 10-day cooling off period will be implemented following approval from the Rugby League Players Association. The new rule would stipulate that a player can sign with a new club only in the final year of his contract and a club signing a player is prohibited from making an announcement until after the cooling off period. Manly playmaker Daly Cherry-Evans has been the source of constant media speculation this season after it was reported he was preparing to backflip on his deal with the Gold Coast for the 2016 season. The rule came under fire last year when Wests Tigers fullback James Tedesco used it to back out of a $1.9 million deal with Canberra.